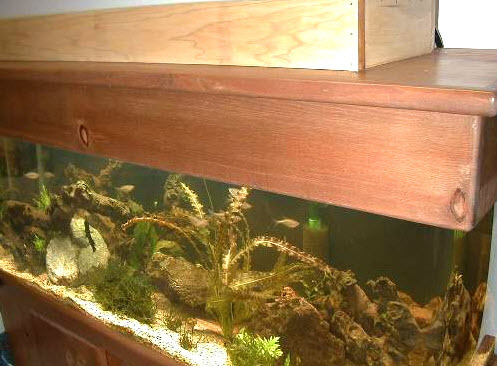 Make a box enclosure to hold the lights over your aquarium! Measure your tank and cut pieces of wood to the sizes needed. Assemble the wood to make a box, then sand the edges smooth and paint or finish the wood. Cut a hole from the center of one short side of the box and attach a computer fan in the hole. Attach the light sockets, reflectors and electrical components in the box, and wire the components together. Cut a hole in the lid of your tank if needed and attach the box over the hole.